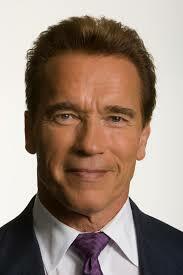 Home News Arnold Schwarzenegger, to star in Chinese film "The Guest of Sanxingdui." Arnold Schwarzenegger, to star in Chinese film "The Guest of Sanxingdui." World famous muscular actor and former Governor of California, Arnold Schwarzenegger, will star in Chinese film titled "The Guest of Sanxingdui. This is to promote the prehistoric Sanxingdui ruin - The largest museum in Chaina, located about 40 kilometers northeast of Chengdu, Sichuan Province. This Archeological Site has artifacts dating as far back as 5,000 years, with large number of precious relics, and it is grandly called "the origin of the civilization of the Yangtze River". This has also made Schwarzenegger an ambassador of the prehistoric Sanxingdui ruins. He said that the film would be made an international story in order to introduce a global audience to the culture of Sanxingdui. On a press confrence, on Monday, 24th October, film investment company, Beijing Ajimo, said The film will be a 3D production featuring Hollywood technology and oriental culture. Shooting will start in March 2017 and movie released in 2019. It has an initial investment of 200 million U.S. dollars.